Willis Sparks, director of global macro at Eurasia Group, has a perspective that should be familiar to investment professionals: Markets hate uncertainty. 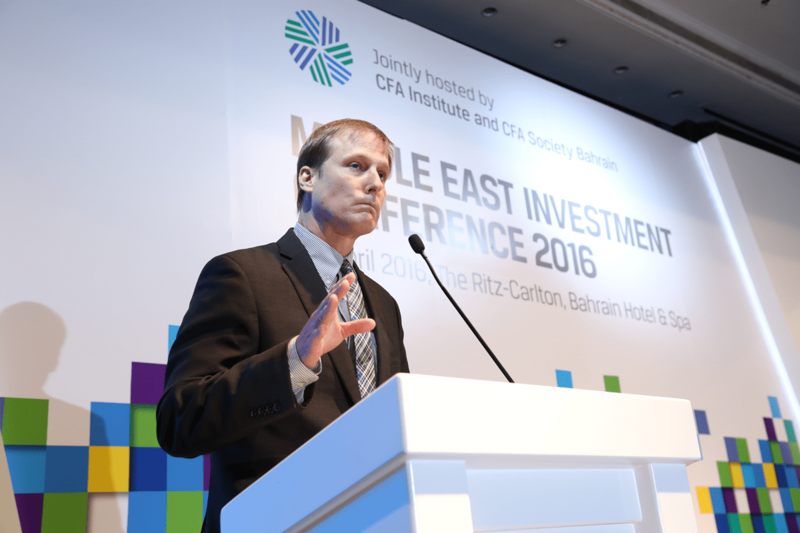 The return of geopolitics as a primary influencer of market movements has been an ongoing concern for global investment professionals, and that concern was reflected by the audience. 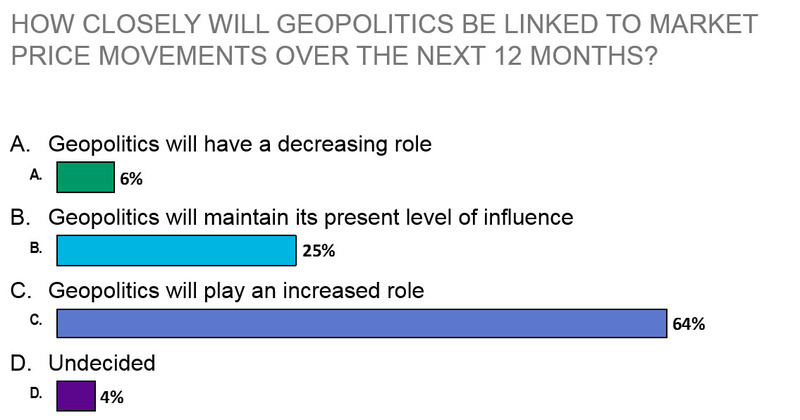 In a poll conducted at the conference before Sparks’s presentation, 64% of the delegates felt that geopolitics will play a greater role in market price movements over the next year. Sparks began his presentation with a brief discussion of US politics — not because he believes it will be a source of uncertainty over the next 12 months, but to downplay its significance. After presenting to audiences across the globe, he has noticed a trend. “Inevitably,” Sparks said, “the first question I’m going to receive is going to have the words ‘Donald Trump’ in it somewhere.” He feels, however, that despite concerns about the upcoming US elections, investors should focus their attention on other forces that could influence global markets. Oil prices will be a true driver of uncertainty over the coming year. Sparks noted that everyone is growing accustomed to the phrase “lower for longer,” and he expects Brent crude oil prices to remain within the $35-to-$50-per-barrel range over the next few years. Sparks’s prediction of low oil prices over the long term is based on the growing number of global producers. In the United States, for example, technological advances have led to more small- and medium-sized enterprises emerging as active oil producers. With more companies able to quickly stop and restart production, oil has become more price sensitive: Any upward price pressure can quickly be nullified with increased supply. Closer to home for the conference audience in Bahrain, Sparks expects Iran to grow as an oil producer. The dynamic to watch will be how countries in the Middle East respond to the shift in the balance of market power as this regional contender increases its market share. The major uncertainty comes from what lower oil prices mean, both for producing and consuming nations. Sparks echoed a statement made by other speakers at the event: The answer will be found in diversification, specifically how well or poorly the various economies accomplish it. Sparks saw two important questions to consider over the next year: How will oil producers adjust to prices that won’t rebound over the next two years? And how will countries in the Middle East respond to Iran’s growing influence in the region? China will be another source of uncertainty for markets as well. Highlighting the cascading effects of the turmoil that played out in Shanghai’s stock markets earlier this year, Sparks feels that market volatility will be driven more by appearance than reality — he sees a greater possibility of miscues as other countries realize that China is on track to become the world’s largest economy, as measured by GDP. Sparks is less concerned about the possibility of actual economic weakness in China, declaring that the threat of “the so-called ‘hard landing’ for China’s economy” is overrated. He feels that a major risk lies in market participants outside of China misreading signals from the country as it prepares for 2017, which will be an important transition year for China’s leadership.